When there has been so little news related to the Green Bay Packers in the weeks leading up to the draft, the news that came out Saturday night seems like sensory overload. With one article, published late on a Saturday evening when most of the sports world was more concerned with the Kentucky Derby, NBA playoffs, or Mayweather/Maidana boxing match, Bob McGinn addressed not only the future of Head Coach Mike McCarthy, but also that of General Manager Ted Thompson. McGinn includes in his article news that Packers Team President Mark Murphy has been working on a contract extension, one which would extend his current deal set to expire at the end of 2015. 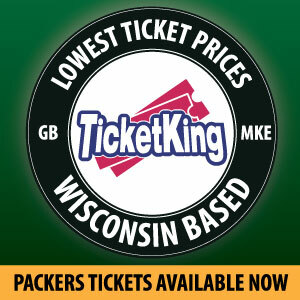 This extension would afford McCarthy more opportunity to add to his legacy as the Packers coach. Along with the news about McCarthy, McGinn addresses the future of Thompson. While there is no indication that there have been actual discussions about a new contract for Thompson, McGinn does speculate that the future of McCarthy may very well be tied with the future of Thompson. At 50 years old, McCarthy presumably has much time left to continue coaching if that is what he chooses to do. At 61, Thompson is approaching the end of his career. When that will be is anyone’s guess. Anyone who saw Thompson speak last week at his pre draft press conference would agree he is looking and sounding like someone who may finally be feeling the effects of the job for a person his age. Sitting in the periphery of this entire situation, waiting to see how it will play out, is Aaron Rodgers. McGinn makes the assumption-probably a safe one to make-that McCarthy has no intention of ever becoming a General Manager. It is widely accepted that he enjoys coaching, and that is his comfort zone. So if Thompson were to retire, the odds of McCarthy making a power play and taking on both roles seems slim. 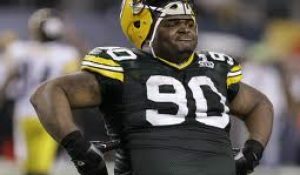 After the disasterous Mike Sherman Head Coach/GM tenure that Thompson inherited, it is a longshot this type of situation would ever again exist in Green Bay. 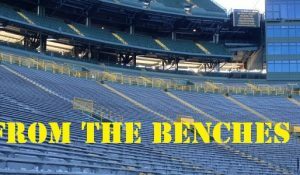 Could one of the Thompson Tree branches return to the Packers as a GM? Would Reggie McKenzie, John Dorsey, or John Schneider want to go back to their roots and lead the team which helped them achieve their current positions? Perhaps. Although this once again seems unlikely as each of them are enjoying their own successes, albeit at different levels, with their current teams. So this presumably leaves Thompson, McCarthy, and Rodgers and the trio for the Packers future. 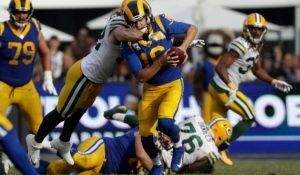 If McCarthy is indeed in discussions to be signed to a new contract, one which would extend him out toward the end of the decade, one would have to presume that Thompson is also part of the Packers future. It would seem unlikely that this pair would be split up after working together for nine years. McCarthy has the trust of his boss, and Thompson has trust in his boss. This is part of the reason why they have been able to work so well together for so long-no mutual distrust. This is where Aaron Rodgers comes into play. Mike and I have had conflict. You have to have conflict if you want to grow. It’s not always a confrontation. The conflict can be a disagreement about the plan, on what you want to do to attack them. I think there is a way to going about doing it that can get things done and 99% of that has been behind closed doors and that’s the way we want to do things around here in Green Bay. Rodgers has indicated he is halfway through his playing career. A new contract for McCarthy would most likely take him close to if not all the way to the end of Rodgers’ career. If there is indeed friction between these two now, imagine what another few years could do to it. It could mean nothing. Just two very competitive individuals who have disagreements because both so desperately want to win. On the other hand, it could also be something catastrophic down the road. For everyone’s sake, let’s hope it is the former. The assumption is that Murphy wouldn’t have entered negotiations with McCarthy without having some assurances Thompson plans to work beyond the final two years of his contract. Otherwise, it would make little or no sense for Murphy to re-do McCarthy with two years remaining on his deal and potentially undermine the organization’s effective delineation of authority when it comes time for the next GM. Thompson, McCarthy, and Rodgers will always be tied to each other in the history of the Packers. What the next few years will do is determine what type of story history wants to tell about them.